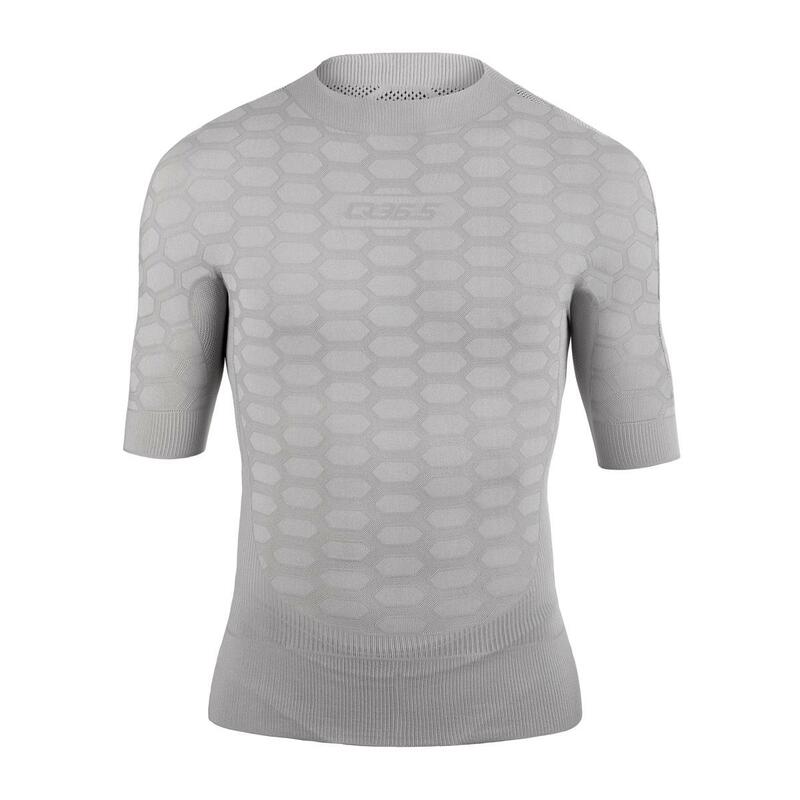 Q36.5 grade their range of base layers from 1 (summer mesh) to 4 (winter insulation). This Base Layer 2 is ideal for late spring, early autumn and in the UK even a good part of the summer! Designed to maintain comfort down to 15°C. Seamless construction and modern high-tech fabric weave make this extremely light weight unisex base layer especially comfortable. By using cutting-edge "Karl Mayer" seamless knitting machines, Q36.5 have come up with a unique new high-tech approach to the traditional base layer. - Significantly greater elasticity and lower resistance to movement in all directions, thanks to the Karl Mayer machine's ability to construct multiple tubes without any seams (most 'sleeveless' base layers still require stitching sewn around the armhole, for example). The removal of all seams, with the exception of two short joining stitches at the shoulders, greatly increases the comfort of a garment as tight-fitting as a base layer. -A much tougher lightweight material, since unlike other seamless machines Karl Mayer machines are able to develop a true rip-proof mesh. The base layer's fabric is left un-hemmed, to further remove stitching from the garment. 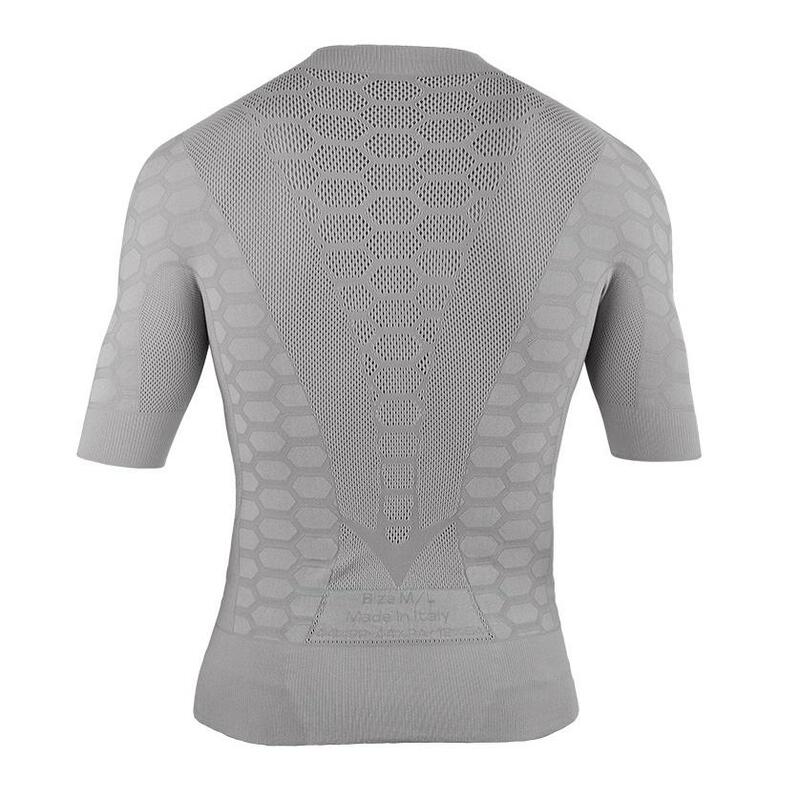 - The 'honeycomb' pattern of the knit is deployed in various different densities, along with open-mesh sections as required, to suit the thermal requirements and differing sweat rates of an athlete's body. Not only does this give the maximum degree of comfort and protection, it also allows for the weight of the product to be significantly reduced where possible. The result is a startlingly pure and minimal base layer. Weight is just 87g, despite the low weight being a result of the design, not an objective in itself. Q36.5 Base Layers are Unisex, and sized according to rider height and weight. They're intended to be a snug fit, to perform at their best, and have plenty of stretch built in for comfort.